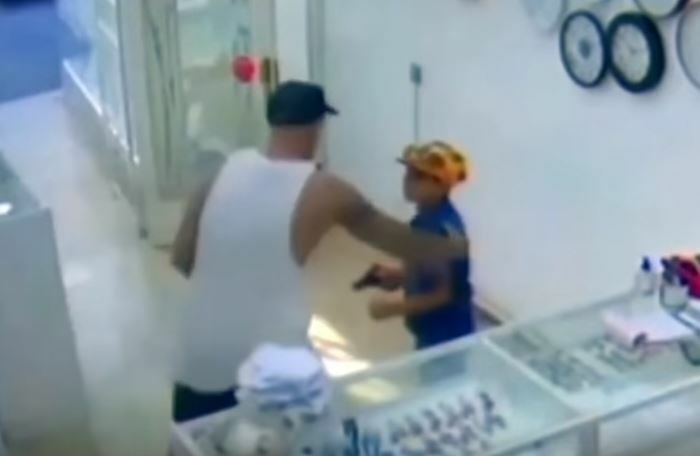 Footage of a nine-year-old boy attempting to rob a jewellery store with what appears to be a toy gun has gone viral. The boy can be seen entering the store in Moreno, Argentina, before he approaches the counter, looking over his shoulder as though to check if anyone’s behind him. He then chats to the store owner for a little while, before slowly pulling out the gun and placing it on the counter. 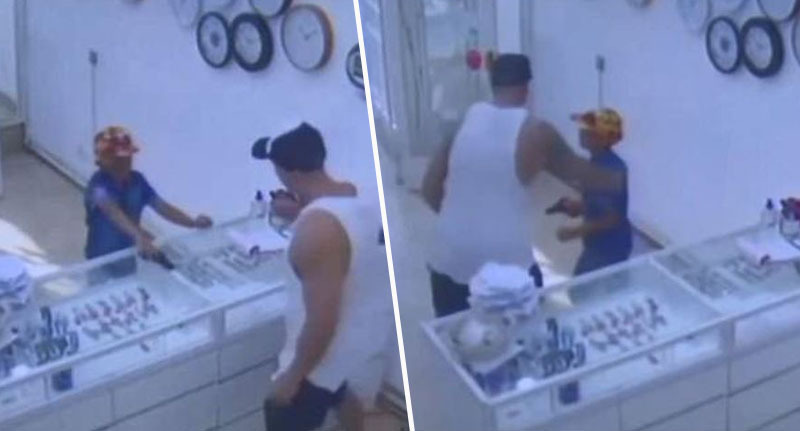 The incident happened just after 4pm one afternoon in February, and owner Nicolás García’s first thought when he saw the young boy was that he just wanted some money to buy food. 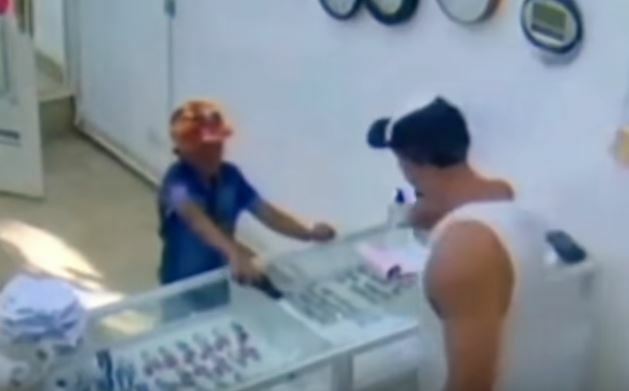 When he came into the store I thought he was going to ask for money to eat, but he started to ask me if he had gold and silver, until he got a gun, I do not know if it was real or toy, and he told me to give it everything. The surprised owner took hardly any time at all to react, walking around the counter and leading the nine-year-old out of the store. García, 30, said when the child walked out of the store, an older, bigger man joined him and began talking to him. The same man allegedly returned with another group later to taunt the jewellery store owner. I was not afraid because I saw the boy’s face and it was almost like a game to him. First, when I got angry, he smiled in fear, but then he started to cry. It got bad. After I took him out of the room, the boy walked a few meters and a bigger guy put him by [sic] and they started talking, but there I did not want to know anything more about the situation. I closed the gate and went inside because the bad moment had already passed. García made the complaint 48 hours later, at which point the police got involved and the CCTV footage began to get shown on TV. MailOnline reports the boy’s embarrassed mother – who identified herself only as Daniela, 28 – saw the footage and turned her son in at a Moreno police station shortly afterwards. Daniela told reporters outside the police station that her son said he was alone and that he used a toy gun. She also mentioned her son doesn’t have a father figure, with five of her six children living with her. I’m feeling very bad. I saw him in the newscast and I brought him in. I have no idea [who he was with] because the child [tends] to escape. It’s not the first time. He has another [police] report filed. The judge who is overseeing the case at a juvenile court said she has ordered the mother and the boy to undergo mental health evaluations.